When will be Hur Svårt Kan Det Va next episode air date? Is Hur Svårt Kan Det Va renewed or cancelled? Where to countdown Hur Svårt Kan Det Va air dates? Is Hur Svårt Kan Det Va worth watching? We adults often struggle to life. Perhaps the world becomes more understandable if we see it through children's eyes? Peter Settman and a well-thought-out, fun children's panel take on the adult world's dilemmas and problems, big and small. Hur Svårt Kan Det Va next episode air date provides TVMaze for you. 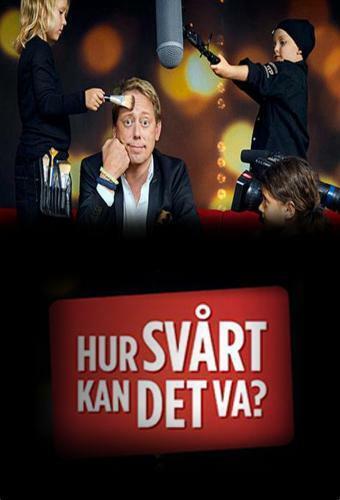 EpisoDate.com is your TV show guide to Countdown Hur Svårt Kan Det Va Episode Air Dates and to stay in touch with Hur Svårt Kan Det Va next episode Air Date and your others favorite TV Shows. Add the shows you like to a "Watchlist" and let the site take it from there.